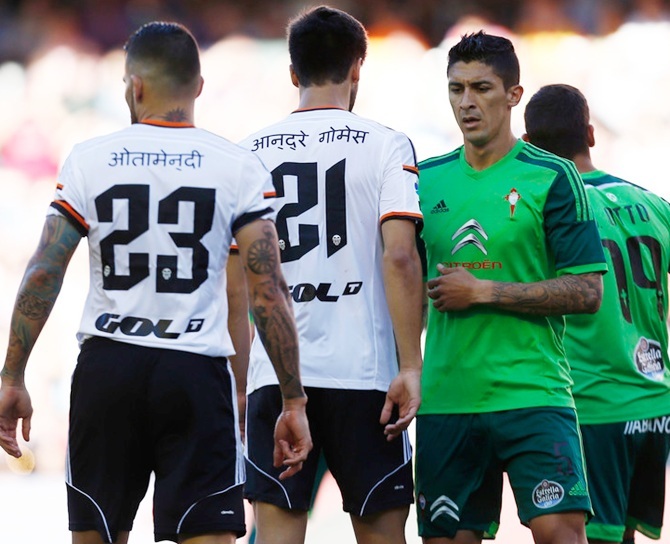 In an attempt to raise money for the victims of the Nepal earthquake last month, Valencia CF wore jerseys with the player names printed in Nepali. The top-flight Spanish club surprised the crowd by turning up for their La Liga match against Celta Vigo on Sunday with unusual white jerseys. It was a new charitable initiative launched by Valencia along with the Red Cross. The aim was to auction these one-off shirts to raise funds for damage caused by the earthquake that devastated Nepal. 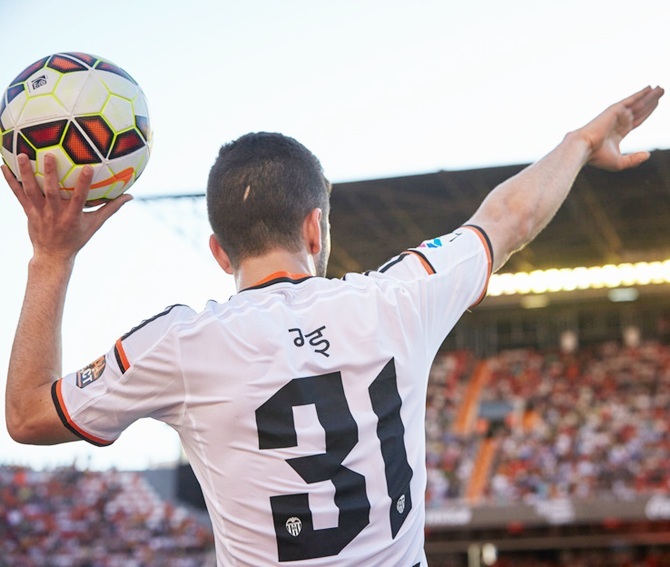 For the record, in their battle for a Champions League place, Valencia, in fourth place, drew 1-1 with Celta Vigo. Should Sourav Ganguly replace Ravi Sharstri as Team India Director? Modi@1: Where is the black money? Will this India XI play Bangladesh?